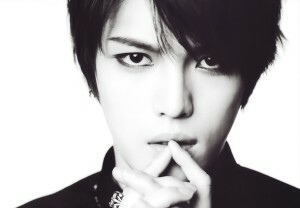 JYJ‘s Jaejoong released his debut EP, I, mid-January, following up with a repackaged album, Y, near the end of the February. The album gained attention for professing to follow a rock route, teaming up composers along that line of music to create a top-of-the-line production. The initial EP contains five tracks, four of which have lyric contributions by Jaejoong and two of which have composition credits for him. The repackaged album provides instrumental versions of “One Kiss” and “All Alone” along with two new tracks, both of which have songwriting credits for Jaejoong for both lyrics and music. As this is a solo debut effort, it’s good to see active participation from an idol in their work. But as we’ve already discussed, participation doesn’t always equal a work worthy of mention. This review will first go through the tracks present on I and then follow with the additional tracks from Y to allow for consideration of the original order. The album starts with “One Kiss,” the pre-released track. It begins with an uplifting rhythm before giving away to soft vocals almost overwhelmed by the background strings. By the time the chorus has been reached, the vocals have broadened to let in much more emotion. The entire song simply sweeps along with no dragging moments, making it rather refreshing and an overall good start for the album. Coming in second is the EP’s title track, “Mine.” The beginning is strongly rock, matched quickly by warped vocals. However, as the song approaches the first minute mark, there’s something lacking in the sound of the vocals. Some of those broadening strokes found in “One Kiss” would have fared well here. Instead there’s a much rougher quality that matches nicely with the desperation and pleads in the lyrics but doesn’t do as well aurally. Despite the switches between piano and some of the harder rock sounds, the music flows well, swelling from loud clashes to clearer melodies and quieter sounds. As a title track though, the song lacks a distinctive quality. It certainly packs a punch in volume, but by the end of the song, the impression that was left for this listener was a lot of strained voice and typical rock beats–nothing particularly distinctive. Perhaps it’s distinctive within the K-pop realm as idols seldom traverse this route, but in the larger picture, it’s not so. Third is “There’s Only You.” The song’s start is markedly different from the previous two tracks. But the strong guitar impression comes in, keeping in with the rock theme for the album. Jaejoong’s voice is appealing with its well-rounded quality and good expression, but the instrumental doesn’t seem to be a good balance for it. While the voice soars, the background music plods along, dragging the song and preventing a better execution. “Healing for Myself,” also known as “My Only Comfort,” was part of the soundtrack for Codename: Jackal, the film released in late 2012, starring Jaejoong alongside labelmate Song Ji-hyo. The song has a pleasing start, but the introduction of the guitar causes a bit of an imbalance. The stronger instruments are welcome, but the twang of that guitar doesn’t mesh well with the voice. Luckily, the instrumental progresses to incorporate more sounds to build up to a much more fitting climax. Choosing to build to a single high point did the song well, creating a fitting journey. It also lets down appropriately and ends without an abrupt drop. This is the only track entirely by Jaejoong, and it’s an effort well done. I ends with “All Alone.” The song manages to convey solitude very well through vocals and the instrumental. It’s a song that fits in well with the previous two, though not as much with the first two. This last song is a full on ballad: there’s no way around it. It’s a good listen holding the solemnity of other songs on the album, but it does seem misplaced on this rock album, especially as a last song. Repackaged albums normally come with something to counter the image presented in the original album, and “Kiss B” featuring Flowsik from Aziatix follows that line completely. “Kiss B” goes down a fast-paced R&B route, starting off promisingly, but it soon becomes clear that the beat is just too fast. Around the three-minute mark, with the start of Flowsik’s rap, the song seems to lose the control it was barely holding onto. The rap starts off uncomfortably, not quite fitting with the song. The ad-libs are too much, creating more cacophony than desired. As a result, the end of the song is very much welcomed. “Only Love,” also featuring Flowsik, falls right into the dance/electronic pop category. Immediately it’s evident that the music is just overpowering the vocals. The two are competing for attention, and the music solidly wins, drowning out any comprehensibility of the words. It may work in a club where no one pays attention to the lyrics, but for normal listening, it’s just not good and is instead rather disappointing. The short dubstep break doesn’t help at all, nor does Flowsik’s rap. The disparity between the initial EP and the repackaged album is so stark that it begs for both to be discussed and scored separately. I overall is a strong album. The five tracks each hold their own with more than decent quality. However, for a rock album, with all its opportunities, I lacks sufficient cohesion across all tracks to empower the album in a listen. And indeed, if you look at the composing credits, it’s easy to see why. “One Kiss” and “Mine” were created with the aid of Kim Ba-da of Korean rock band Sinawe fame, a credit that explains the distinctly harder sounds of those two songs. It’s believable that the five tracks are in the same EP, but strong as a unit they are not. The newer songs off of Y are such a detraction with their lower quality in comparison to the album core. “Kiss B” had potential to be good, perhaps if slowed down and with the rap removed. But “Only Love” requires much more renovation. 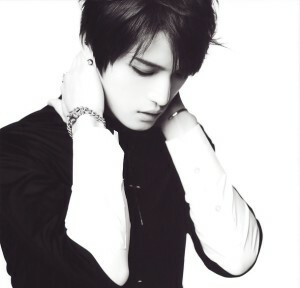 What both songs suffer from is something to make them stand out, a dash of originality to mold them to be Jaejoong’s. As a whole, the endeavor suggests a strong music foundation with more and better music production in the future. This writer hopes Jaejoong will stick to his rock guns, as they served him mostly well this round. How did you all enjoy the seven tracks? Did you have any favorites or major dislikes? Leave a comment with your thoughts!